Hello! 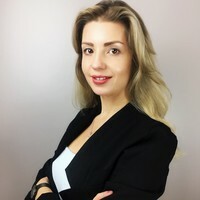 My name is Viktoria, People Development Specialist, Business Coach and Entrepreneur from London. I have Law and Business degree and during my career I have been fortunate to work and gain experience across different sectors and industries from hospitality to corporate. My background is in Human Resources and I specialise in Learning and Development and Coaching and worke with a variety of clients from junior level staff to C suit executives and Board Members. I run numerous trainings in the workplace on Management and Leadership skills as well as soft skills and Personal Development trainings and workshops. I am extremely passionate about helping entrepreneurs, start-ups and small to medium sized companies to create incredible workplace and build amazing teams.